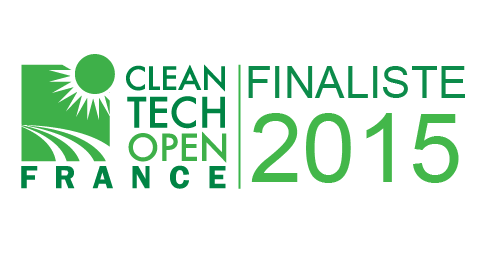 The CleanTech Open is the world widest program dedicated to identify, coach and promote eco-innovative startups. Within a world contest, the CleanTech Open France has organized a competition for French startups and SMEs, enabling the winners to benefit of a 480 000 € prize. This competition is set-up in relationship with the Ministries of Ecology and Sustainable Development and Energy, Economy, Education and Research, as well as ECOSYS Group. Air Serenity’s technology enables to set-up an air purification system at the heart of a building, which has a direct effect on the health and well-being of visitors. It also captures all air pollutions without requiring to air abundantly -which would be costly-. This technology has retained the attention of the jury, who decided to select the team for the next phase -the final- in September!